Like many gun enthusiasts, you will probably shoot just about any time you get an opportunity. Nothing beats the true experience of testing out a variety of shooting situations, including at gun ranges. 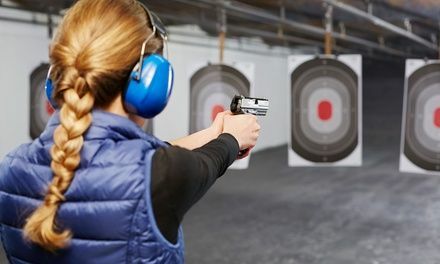 Even though your immediate area might have limited access to these gun ranges, there are so many great shooting locations across the country -– from indoors to outdoor shooting ranges. And it’s the perfect excuse for a road trip. Whether these are nearby or out of town, these shooting ranges deserve your attention. See if any of these are near you. Located in Tampa, this is not only the largest shooting range in Florida but also comes with steel targets for its patrons. You can carry your own firearms or use a wide variety of rentals available. They are open to the public, but you can also become a member, which comes with its own perks. 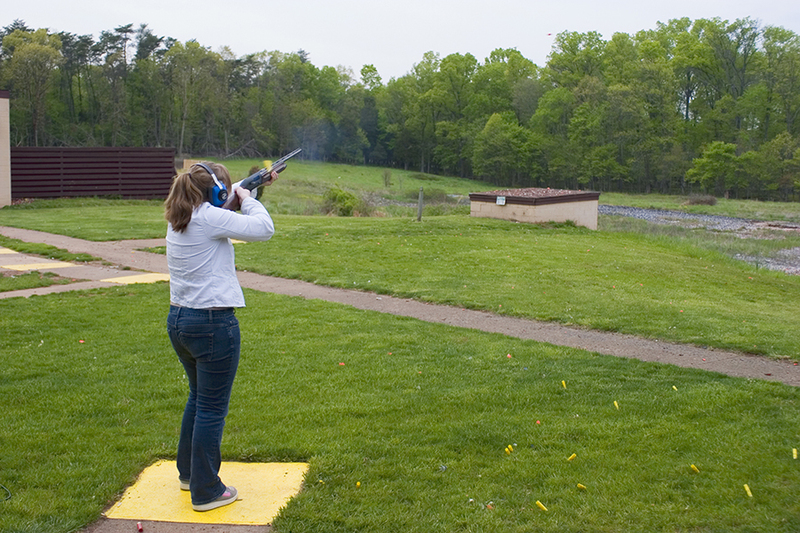 Shooter’s World runs a variety of training classes for people of all ages. Before you go, don’t forget to check their events, so you can plan your visit. Not only can you visit this gun paradise to shoot, but they offer firearm services if you need your weapon appraised to repaired. It’s hard to find a reason not to visit Shooter’s World. Over in Texas, you get a five-star rated National Shooting Sports Foundation (NSSF) shooting range. This Houston range rents out just about any type of ammunition including the S&Ws, Glocks, and Sig Sauers. And, you’re in luck, it’s open to the public on a daily. Like Shooter’s World, Athena has impressive gun ranges, classes, different level memberships, and gunsmithing services. But what makes the Athena Gun Club stand out is its virtual training simulators. These simulators work like the interactive shooting ranges that you’ll find online. They simulate marksmanship training, stress decision making situations, and other major courses. Talk about getting your heart pumping! If you want to experience some of the over 300 scenarios filmed in HD loaded into the simulator, head on over to Houston for a visit. It’s difficult to find scenario-based ranges that are open to the public, but the Silver Eagle Group is not your ordinary outdoor gun range. The range not only comes with full public access, but you can also reserve some areas for private shooting events. Silver Eagle also runs training classes for groups and privately. They have a scenario house, which is 10,000 square feet, where they have tactical, self-defense, and force on force courses. After a day of training, chill out in the lounge on comfy leather couches in front of a gas fireplace and talk about your day at the range. This gun range was formerly known as the Black Canyon Shooting Range. It is located on over 1,700 acres in Phoenix and received a five-star rating from the National Association of Shooting Ranges (NASR) despite being a government-owned facility. Don’t worry about finding a hotel nearby the Ben Avery Shooting Range because they have campgrounds right there. Some are dry campsites, and some have water and electricity, so take your pick. Wake up in the morning, shoot your rifle, pistol, or bow and arrow all day, and retire back to your site at night. There are 67 shooting tables to choose from with 200-yard shooting positions each. It sounds pretty perfect to us. Formed in 1962, one of the best things about this shooting range is that it offers 24-hour access. That means that you can stop by at 2 a.m. and practice your long-range shots. However, you have to be an NRA member to get club membership. Open to both members and non-members for pistol and rifle shooting, seven outdoor and open-space lanes meet both U.S. military and NRA specifications. On top of that, they’re making improvements all the time to make your experience better. The facility also holds several junior and adult shooting competitions, including the Cowboy Action Shoots and the Civilian Marksmanship Program. So, check the events page before you plan your trip. The Waterloo Gun Club originally opened in Seneca Falls in 1934. Later they moved to Waterloo, in 1952, after a member donated land to expand the club. For as little as $3 to $5 per hour, you can enjoy both outdoor and indoor shooting environments. Eye and ear protection are mandatory for anyone near the lanes. Waterloo has NRA Certified instructors, and IDPA Certified range officers, so there’s no shortage of knowledge this place has to share with you. They hold indoor and outdoor events, as well as special events to keep you busy. Check out their site to see which ones you want to be present for. Who knows, you might even be able to participate. The Colonial is basically a 60,000-foot shooter’s paradise in Richmond! It has an on-site ammunition store that offers a wide variety of machine guns, handguns, and rifles. They also have memberships available that come with benefits like free use of the ranges, discounts on classes, and more. There are more than 50 private shooting lanes that are suitable for both professionals and beginners, and there’s training for every level shooter. You can carry your own guns or rent the available ones — your choice. Children need to be over 10 years old to shoot at this range, and there are some more rules to check before you head trek to Virginia. They’re all spelled out on the website for first-time visitors, so there will be no surprises when you arrive. Scottsdale won the official Best of Arizona Indoor Shooting Range for 2017. And if that’s not enough to get you there, they have 32 shooting lanes and top-of-the-line gun technology to boot. The Scottsdale Gun Club certainly stands out because they have machine gun adventures, where you can choose from over 20 different fully automatic weapons, including machine guns and rifles. They even have World War II classic weapons. Each lane has a computerized control panel for a completely customized shooting experience. If you’re not into machine guns, don’t worry, they also rent rifles, shotguns, and handguns — they cover everyone. Like most of the other facilities, there are memberships available which come with their own set of benefits, and classes available for all. This high-class gun range is in the heart of Las Vegas. Similar to Scottsdale, the Gun Garage has an impressive selection of fully automatic and semi-automatic guns for your shooting pleasure. You can book an event at this range and choose from over a dozen lanes with extra big stalls, so you have plenty of elbow room. That is a family-friendly place, so there’s no reason to leave the kiddos at home, unless you’re heading out for a night of gambling after your shooting day. Take note that range visitors can only bring pistols, no rifles, so plan accordingly for your visit. Be sure to read the rules on the site, so you show up ready. This range is the largest indoor gun range in the Midwest. Top Gun has a wide variety of training classes to learn everything from basic handgun maintenance to defensive shotgun use. There are gunsmithing services available on-site and leagues ready for your participation. If you’re just visiting for the day, take a crack at one of their 18 lanes for weapons practice. And forget getting smoked out, they have an efficient ventilation system that removes smoke and other ammunition odor to ensure you shoot in a clean, healthy, and comfortable environment. If you’re not ready to step out onto the range, Top Gun encourages non-shooters to watch those participating on their hi-def monitors. No one is left out here. 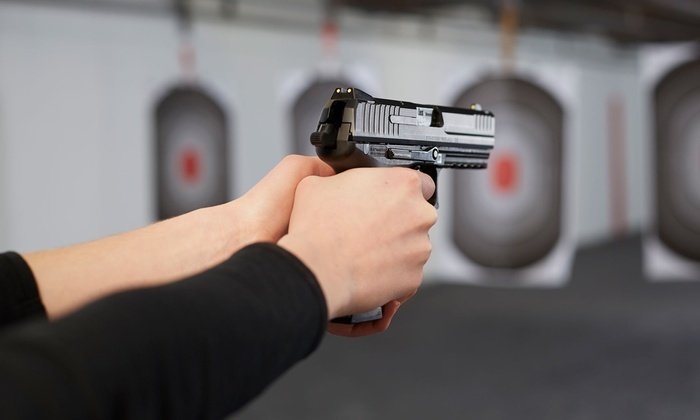 Shooting ranges have their own rules and regulations, and if you’re traveling to them, you want to know what they are before you go. Some restrict certain ammunition, while others have rules about weapons, attire, and participant age. We’ve supplied links to each of these excellent facilities so that you can properly prepare for your road trip. All you have to do now is pick a range, know the rules, pack up, set your GPS, and get ready for a day of shooting. Above all, have fun.